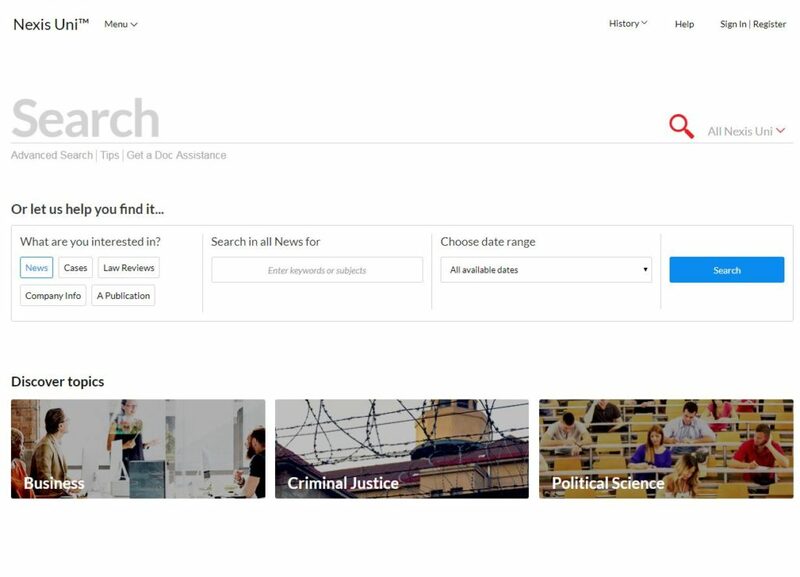 The database LexisNexis Academic is getting a new name and interface. As of Thursday, December 14, LexisNexis Academic, the full text source for regional, national, and international newspapers as well as business, legal, and medical publications, and government documents, will be known as Nexis Uni. According to LexisNexis, Nexis Uni will offer improved personalization, collaboration, and quick discovery. The company is phasing out the current interface this month. The new interface has a search box they hope will be more intuitive for students. You can preview the new Nexis Uni from on-campus here. As of this Thursday, you will only be able to use the new interface. If you have any questions about Nexis Uni and using the new interface, please ask a librarian.